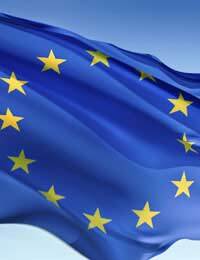 The European Union EU is the single largest commercial market in the world currently with 27 Member States. It is attractive for businesses as all of the EU Member States have ratified trade agreements, legislation, tax and customs regulations to make the EU one of the most straightforward territories to do business with. If your enterprise wants to enter a new overseas market, trading with Europe is one of the easiest parts of the world to move into to start selling your goods or services. The countries that currently make up the EU are generally viewed as one single market when trading between Member States. If your business will be selling goods to services to another EU Member State, the items you sell are said to be in free circulation and are called dispatches. The practical upshot of selling to another EU Member State is that most of the trade barriers you may be used to dealing with when trading with an none EU Member State don’t exist. If you intend to start trading with a country outside of the EU, these territories are usually referred to as Third Countries. Any goods or services you are selling to these third countries are referred to as exports as your business is exporting them outside of the EU. The most obvious difference you will face when trading with another EU Member State is the change in currency you have to deal with. The UK has yet to adopt the euro as other mainland European states have. Consequently your business must look closely at the fluctuations in the exchange rate and how this impacts on your businesses ability when trading with the EU. Even a small change in the exchange rate could mean your costs increase, and your profits decrease sometimes very sharply. You can insure against these fluctuations to ensure your business gains the income it is expecting from each sale to an EU Member State. Many of the EU Member States will have internal infrastructure that is comparable with the UK’s. You can’t, however, guarantee this. The logistics that you put in place to ship your goods to their European customers must be carefully considered. The skills of a freight forwarder and business support services from organisations like UK Trade & Investment can give you onsite help regarding the infrastructure of specific countries and regions. The reliable shipment of the goods you are trading is of paramount importance. After all, your business won’t get paid if the goods don’t arrive intact and on time. One of the most confusing aspects of trading with Europe is how customs taxes are handled. Any goods that have a tax attached to them are called excise goods. The HM Revenue & Customs (HMRC) collect any excise tax that is due. Excise duty is most commonly applied to fuel, tobacco, beer and spirits. It is important that your business complies with all the excise regulations that apply to the excise goods you produce and are exporting to Europe. The HMRC website has detailed information about excise duty and the schemes you can use to defer or suspend payment of any excise duty your business owes. Your business can also use the New Computerised Transit System (NCTS) to speed up customs procedures. Fully details of NCTS are on the HMRC website. As the EU is considered one large trading area, if your business is selling goods or services that are usually VAT rated, you won’t normally have to charge VAT to your European customers. Generally, goods are defined as zero rated for VAT, but your business must show your export status and the import VAT status of your customer to qualify for the zero rate of VAT. When trading with Europe always keep detailed records of every transaction. Note that if your business is selling more than £260,000 worth of goods to customers in the EU, your enterpriser must complete the Intrastat form. Governments use these forms to generate accurate trade figures. There are regulations to compel your business to accurately complete the Intrastat form on time. Trading with the EU means much of the red tape that you may be used to when selling to none EU countries isn’t applicable. However, you must take care to ensure your business understands if an export/import licence is required for the goods you are selling. The Department for Business, Enterprise & Regulatory Reform (BERR) can give you more details about export licences your enterprise might need. Additional regulations and legislation that is in place regarding some types of goods must also be closely observed. Some of the regulatory areas your business must be aware of when selling to Europe include labelling and packaging. The labelling of goods can be regulated by individual countries within the EU. This is particularly import if your business will be trading any foodstuffs. Labelling in the food sector is highly regulated.